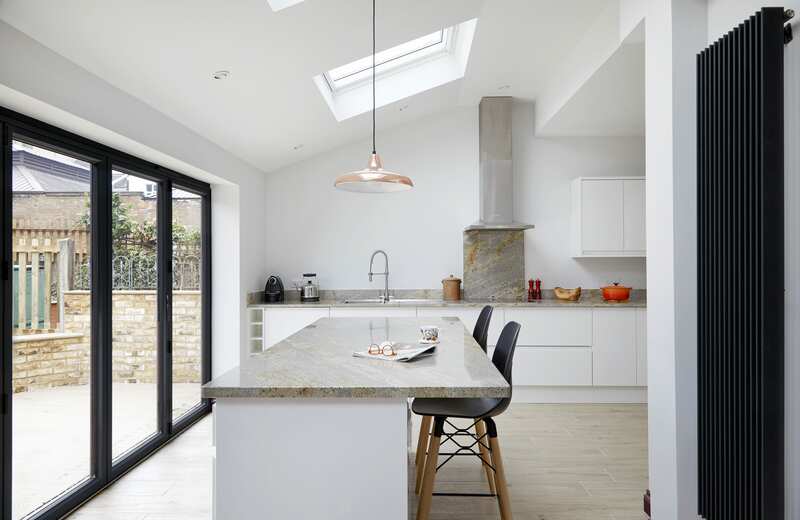 Our remit here was to build a full width kitchen extension to open up the original back two rooms of this Edwardian home into a light and airy new kitchen dining room. 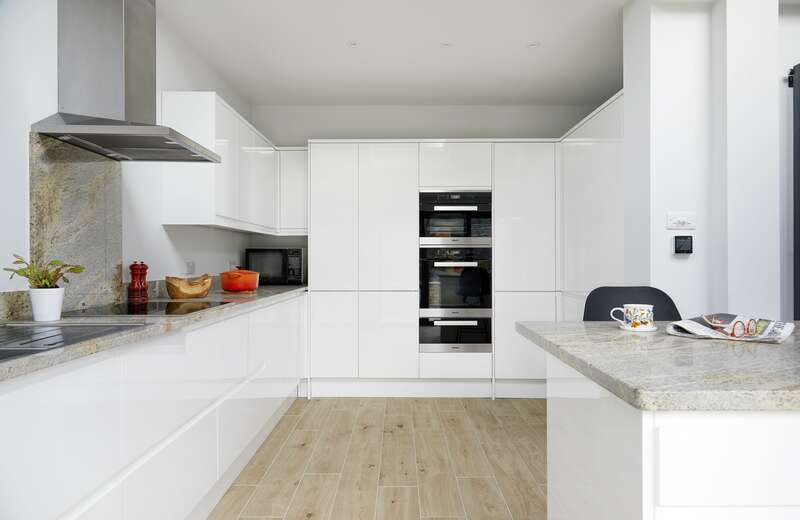 The kitchen is a top-of-range Howdens contemporary style with a full range of integrated Miele appliances. 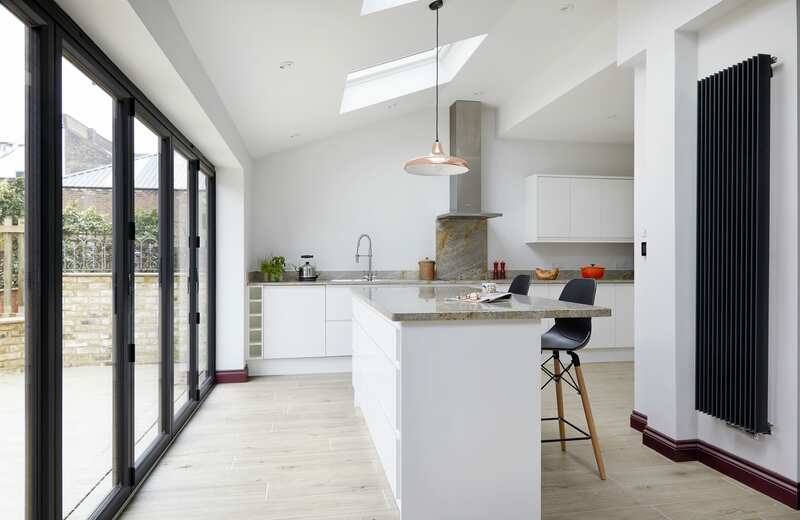 The worktops are granite, selected by the customers following a trip to a stone warehouse. The work included the creation of a new shower room and utility room, as well as the sympathetic refurbishment of the original dining room. 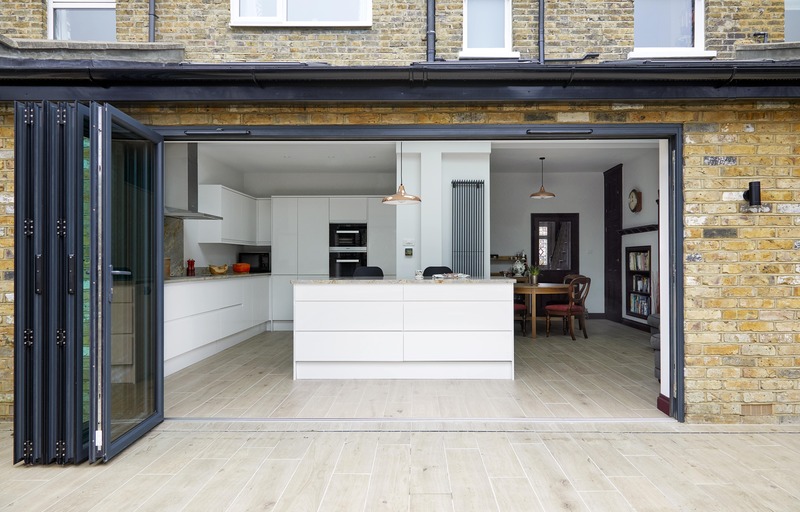 Externally, we built a new semi-circular patio with retaining walls, surfaced with high quality porcelain tiles that ran both inside and out, with a flush threshold to the large bi-fold doors creating a huge linked interior / exterior space. As the family remained in occupation throughout, as usual, we formed a temporary kitchen in the back bedroom, so that they could enjoy a near normal life during the works.